We are very happy to announce that we are celebrating our 4th Birthday tomorrow! It’s been our amazing customers who have kept us going, passing on news of our classes to friends and family, and we’re very thankful for all of the support over the past 4 years. As a big thanks, we’re offering everyone 15% OFF any of our workshops booked tomorrow, when you use the code 4today! at checkout. Maybe you’ve been meaning to book the kids into one of our holiday or teen cookery clubs this summer? Maybe you need to get a special birthday pressie and have been tempted by our Macaron workshop? Maybe you just want an excuse to come in with friends and cook Thai street food while enjoying BYOB? Or maybe you are super organised and have already spotted our Christmas drip-cake workshop! 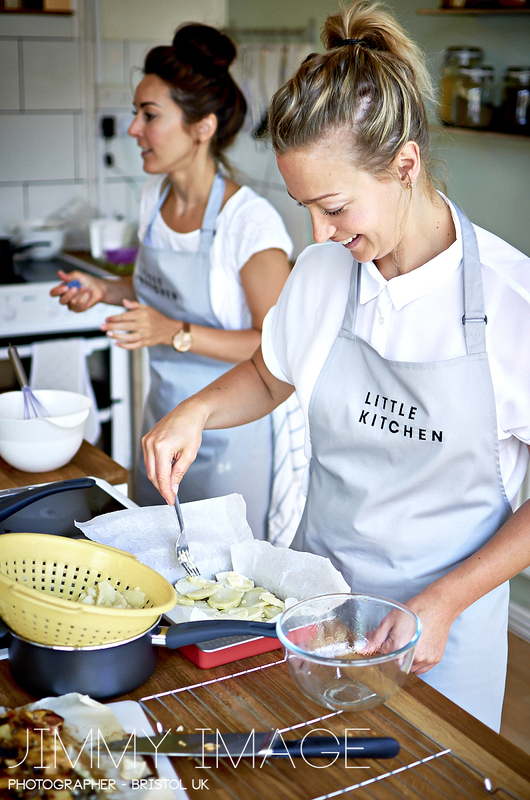 Claire and Madeleine on Little Kitchen’s open day 2014! We are still recruiting, looking for someone to assist on Saturdays at Little Kitchen. So if you love being around food and people, are organised and hard working, looking for a bit more cash, then get in touch! Are you a foodie instagrammer? !